When your child is sick, you need pediatric care you can count on day or night. As one of the first pediatric after-hours clinics established in central Austin, Texas, After Hours Kids offers children and their families skilled compassionate care, extended evening hours, and convenient appointments, so they won’t be kept waiting. What types of symptoms do you treat? Children are sometimes fearful when going to the doctor, even during a well check. When your child is feeling sick, an evening visit to the doctor’s office can be extra stressful. Seeing a Pediatric Nurse Practitioner who has expertise treating young patients can help the child feel more at ease. If your child has symptoms severe enough to keep them home from school, or these symptoms interfere with sleep or daily activities, it’s a good idea to have your child evaluated and treated by our Pediatric Nurse Practitioners. How do I know if my child is sick enough to see a doctor? Every child is different and you know your child best. Sometimes, it is a gut feeling that your child is simply not themselves. In general, fevers above 103 degrees that don’t respond to home remedies should be evaluated. Difficulty breathing, extreme fatigue or lethargy, severe pain, and vomiting or diarrhea that leads to dehydration, are all reasons to seek medical care urgently. What happens during a sick child evaluation? 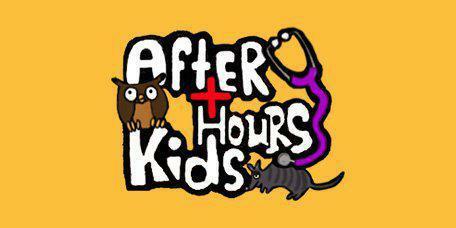 At After Hours Kids, the Pediatric Nurse Practitioners start by assessing your child’s overall health. This includes measuring your child’s temperature and obtaining a weight. Sometimes additional vital signs, such as heart rate, respiratory rate and blood pressure are needed. The Pediatric Nurse Practitioner will ask questions about your child’s symptoms, past medical history, and potential exposure(s) to illness. In addition to diagnosing and discussing a treatment plan, After Hours Kids’ goal is to assure all your questions are answered and work together to formulate a treatment plan that is best for you and your child. 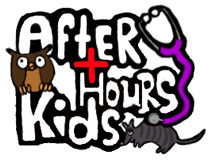 After Hours Kids focuses exclusively on pediatric care; the skilled staff's familiarity with common childhood illnesses allows them to recommend safe and effective treatment options to help your child feel better.